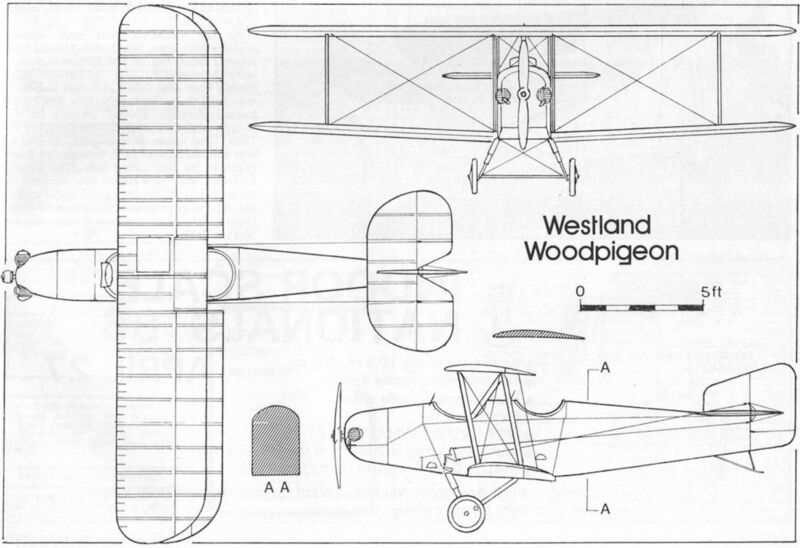 Westland Woodpigeon prototype in its original unmarked form, with shorter-span wings and fitted with a Bristol Cherub. The Cherub-powered Woodpigeon photographed at Lympne in October 1924 where it took part in the Air Ministry ’s two-seater light-plane trials flown by A. J. Winstanley. 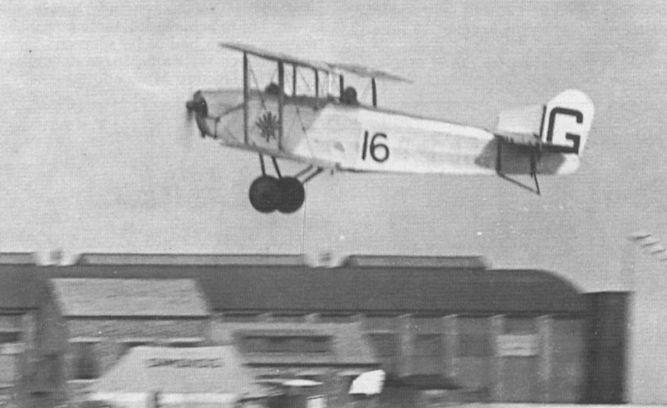 Woodpigeon G-EBJV fitted with a 60 h.p. Anzani radial engine. 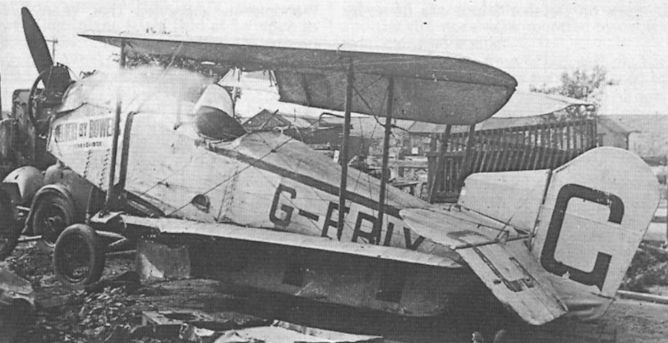 The aircraft was withdrawn from the British civil register in 1933. Woodpigeon G-EBIY seen at its final resting place, on a Ferrybridge scrap dump, in the late Forties, guarded by a lone hen. The 60 h.p. Anzani radial engine is still installed and even the tyres are inflated.